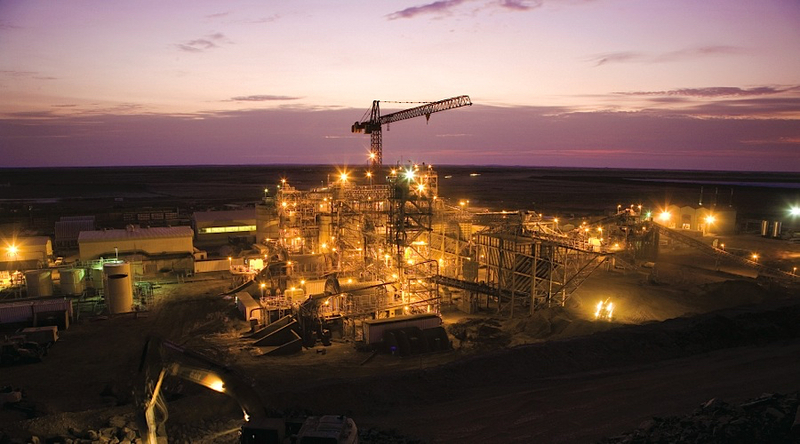 Despite producing less gold, Kinross Gold (TSX:K) made more revenue in the first quarter and is proceeding with an aggressive plan that will slash costs and increase production at its Tasiast gold mine in Mauritania. Sharing its first-quarter results yesterday, Toronto-based Kinross said it produced 671,956 ounces (gold-equivalent) in Q1 compared to 687,463 oz in the first quarter of 2016. However revenues jumped from $782.6 million in Q1 2016 to $796.1 million in Q1 2017, based on higher gold prices, $701 per gold-equivalent ounce, versus $687 per ounce in the year-ago quarter. Shareholders were probably also pleased to hear that the first phase of a planned expansion at Tasiast is underway and expected to reach full production by the second quarter of 2018. On the cost side of the ledger, Kinross shaved all-in sustaining costs by just $3 per gold-equivalent ounce, to $953/oz, or $5 per ounce for gold sold as byproduct, at $945/oz. Net earnings for first quarter 2017 and 2016 were the same, at $0.02 cents a share. Kinross investors were likely tuned into how the sale of a 25% stake in its Cerro Casale project in Chile, along with its Quebrada Seca property adjacent to it, to Goldcorp (TSX:G) affected its first-quarter results. The deal netted Kinross $260 million in cash, plus another $40 million payable upon a construction decision on the mine, and a 1.25% royalty payment. The company responded by saying that after the deal, it has cash and cash equivalents approximating $1.1 billion. After a day of heavy trading, with more than triple average volumes, shares in Kinross finished the day up 10.68% on the Toronto main board. Shareholders were probably also pleased to hear that the first phase of a planned expansion at Tasiast is underway and expected to reach full production by the second quarter of 2018. A feasibility study for the second stage is slated for completion in the third quarter. Last year Kinross said it will spend about US$300 million to boost the mill’s capacity from the current 8,000 tonnes of ore per day to 12,000. The expansion will slash production costs at the mine to $535 an ounce from around $1,000, according to the company. Kinross, the world’s fifth largest gold producer, acquired Tasiast in 2010 as part of its takeover of Red Back Mining for $7.1 billion, a deal that soon proved disastrous. As gold prices fell and costs remained high, Kinross had to write down most of the asset's value. The biggest challenge for Tasiast is the high cost of operating in a remote desert location, where Kinross had to build a huge camp to accommodate up to 2,500 people. The company expanded its portfolio through a deal to acquire two Nevada properties — the Bald Mountain mine and 50% of the Round Mountain mine — from fellow Canadian miner Barrick Gold Corp (TSX:ABX). Looking ahead, the gold producer said it expects to remain within production guidance of 2.5 to 2.7 million gold-equivalent ounces, and to keep all-in sustaining costs at between $925 and $1,025 per gold-equivalent ounce.